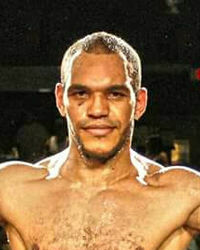 Undefeated Light Heavyweight prospect Frederic “Soap” Julan will be making his first appearance at the Kings Theatre in Brooklyn on June 9, where he will face Eric Abraham (3-2, 0 KOs) in a scheduled six rounder. Julan (9-0, 7 KOs) will look to keep his undefeated record intact as he continues his climb through the rankings in a deeply talented rich light heavyweight division. The 29-year-old Frenchman is now living and training in New York and is fully dedicated to his craft in boxing after first realizing at the age of 19, that the sweet science would be his calling in life. Boxinginsider recently caught up with Julan to talk about his journey from being a kid living in the projects in France, to now living in the United States as he continues to pursue his goals as a prizefighter. “We grew up in the projects,” Julan told me. “Until I was 14 and my parents got us out and we moved out, but I would still go see my old friends. “As young kids, we were always fighting with the older guys. It was a game, the older guys wanted to beat us up. “And one day when you’re with your crew and your fighting with one of the older guys, you beat him up and that was the game,” Julan said. Julan was one of those kids that didn’t want to get beat up and he made sure he “stayed ready” even studying other forms of martial arts in his teens in order to defend himself from potential trouble. Julan’s stint in martial arts was short lived as he was unable to get a fight, so he turned his attention to another form of martial arts, which was boxing. He was introduced to the sport through his best friend who encouraged him to give boxing a try. Julan was immediately hooked to the sweet science after a just a single sparring session, but it was the type of sparring session that only the mentally strong in this sport would want to continue to come back to the boxing gym from. From there a fire seemed to be lit up, but Julan was still not planning a career in boxing until his current trainer Simon advised him to meet with his best friend in New York to get some experience of what it’s like training in the United States. “From that moment I was like okay boxing can become an option. At the time I was working in construction and I was like I don’t want to do that, that’s not the thing that I want to do,” Julan explained. In 2010, the 29-year-old got the experienced he needed when he took part of what he calls a boxing internship where he got to eat, sleep, and train boxing for 1 month in the United States. From there, the plan was put into place in raising enough funds to come back to America following his internship and pursue his dream of becoming a professional prize fighter. Not only is “Soap” slippery in that ring but it’s also interesting to hear him describe his boxing style. “I don’t have a style. I just adapt my style,” Julan said. “I can fight, I can be slick, and I can be dirty. My style would be based on defense because I trust my defense. As for his next opponent, the only thing Julan knows about him is that he’s a southpaw, but the Frenchman is hoping this is the first step to better challenges in the future. He is anxious to fight tougher competition to show the boxing world what he’s made of. “Boxing is all mental, it’s all in the head, it’s being mentally stronger than your opponent,” Julan explained. “I want to step up the opponents. Get real challenge. This year I want to get an undefeated fighter and show people what I got. I want to step up,” he said.